​The Beijing Municipal Culture and Tourism Bureau hosted the "Charming Beijing" tourism promotion event in Budapest, the capital of Hungary, on March 11. ​Twenty-three original dramas will be staged at an invitational exhibition starting March 13 in Beijing. 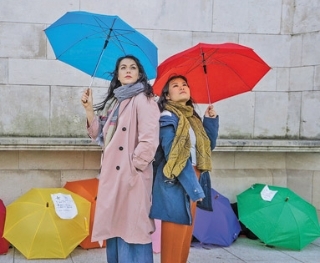 A drama "Under the Umbrella" delving into the story of China's so-called "leftover women" is touring the United Kingdom this month. ​The ballet "Cendrillon (Cinderella)" by Les Ballets de Monte-Carlo will hit the stage of the National Center for the Performing Arts (NCPA) from March 14 to 16. A Chinese production of Italian tragedy "Un Ballo In Maschera" will hit the stage of the National Center for the Performing Arts (NCPA) from April 10 to 14. The two-person play has been granted several awards in Turkey, getting significant appreciation from intellectuals, writers and the audience in terms of bringing to light gender labeling and sexuality so explicitly in a conservative society. 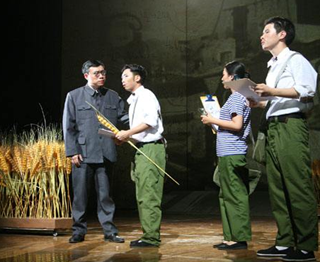 A selection of China's top 20 stage works are being performed in Beijing's theaters over the whole of March. A Chinese production of William Shakespeare's comedy "The Merchant of Venice" will hit the stage of the National Center for the Performing Arts (NCPA) from April 9 to 14. "Teeth play" and face-changing in Sichuan Opera is together known as xiliandongya ("face in the West and teeth in the East"). Ballet show "Swan Lake" is performed by Russian theater "The crown of Russian ballet" at Jahrhunderthalle in Frankfurt, Germany.